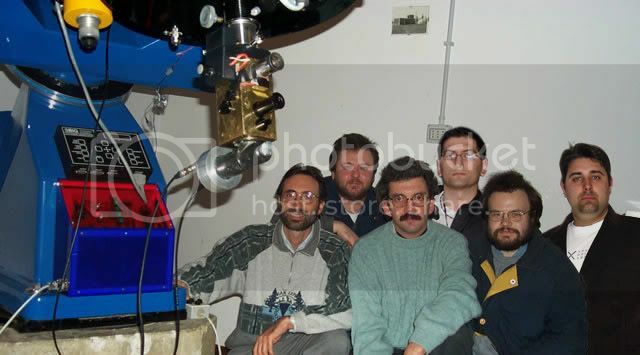 CBET nr. 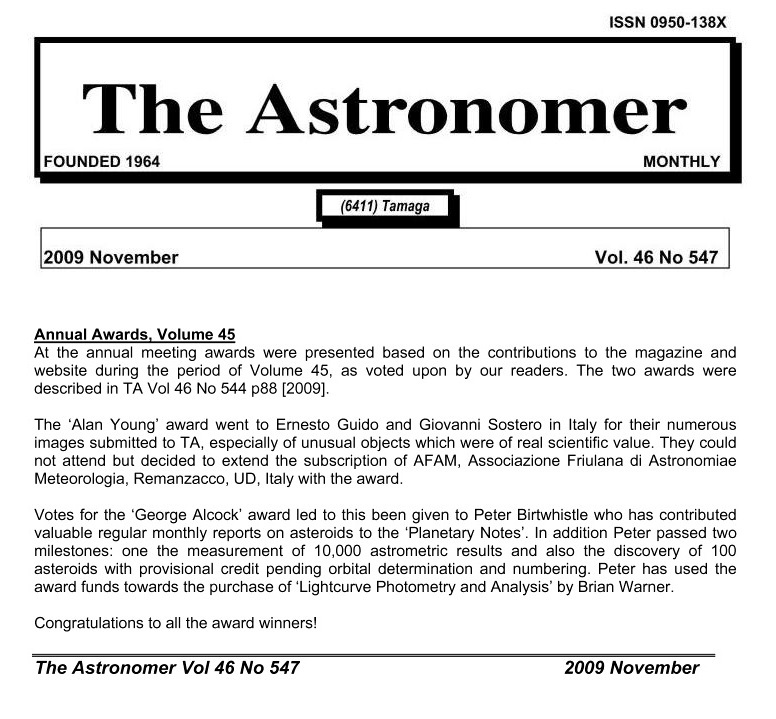 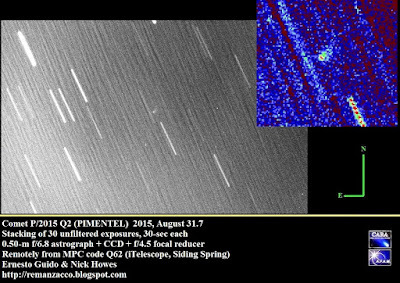 4140, issued on 2015, September 02, announces the discovery of a comet (magnitude ~18.5) by Eduardo Pimentel on Aug. 24.2 UT with a 0.45-m f/2.9 reflector of the SONEAR Observatory at Oliveira. 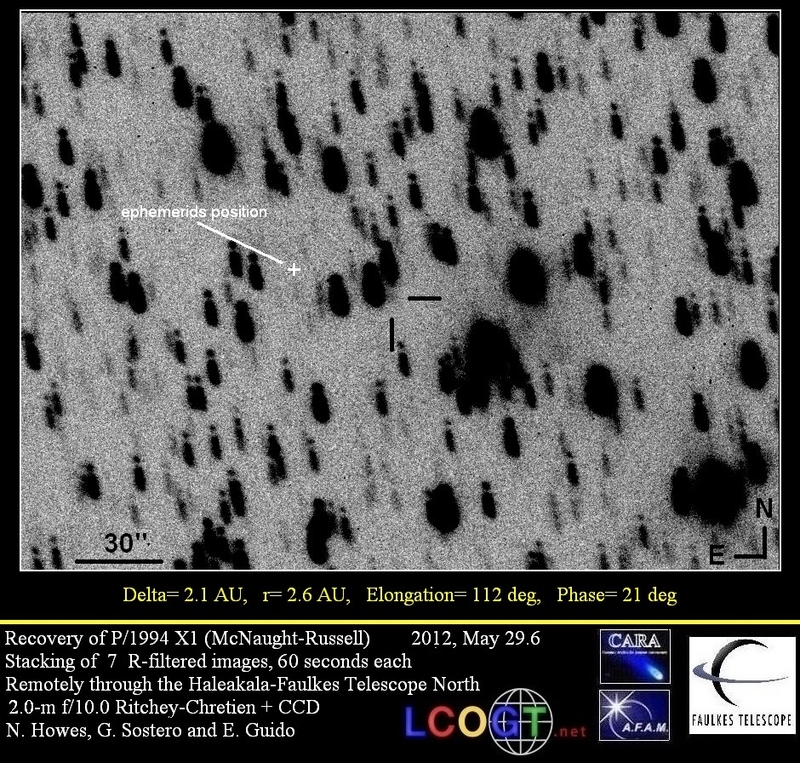 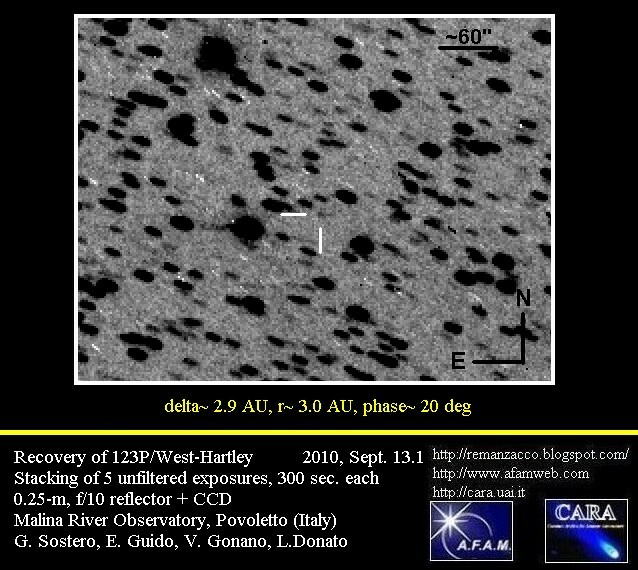 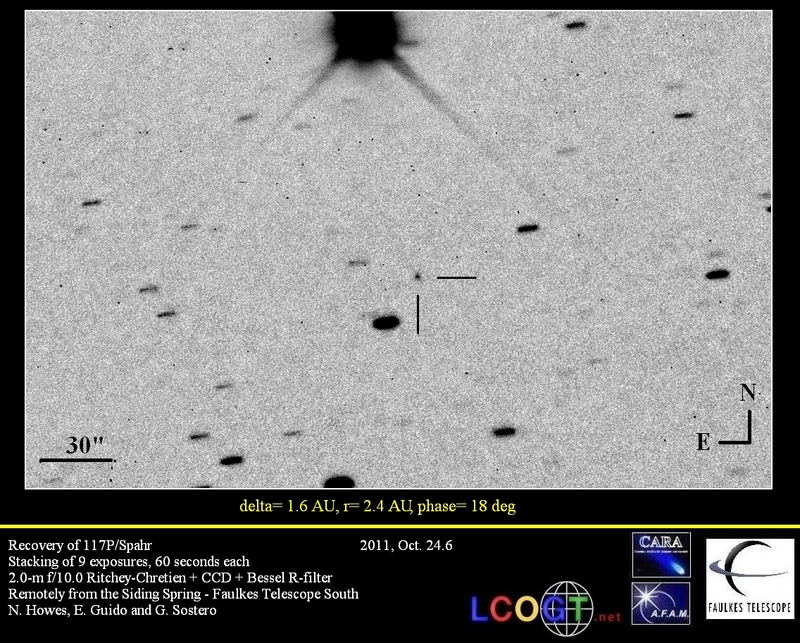 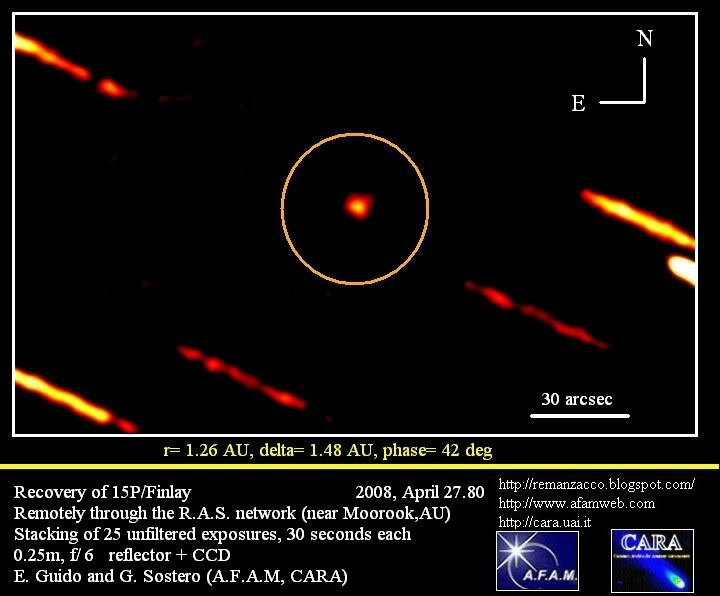 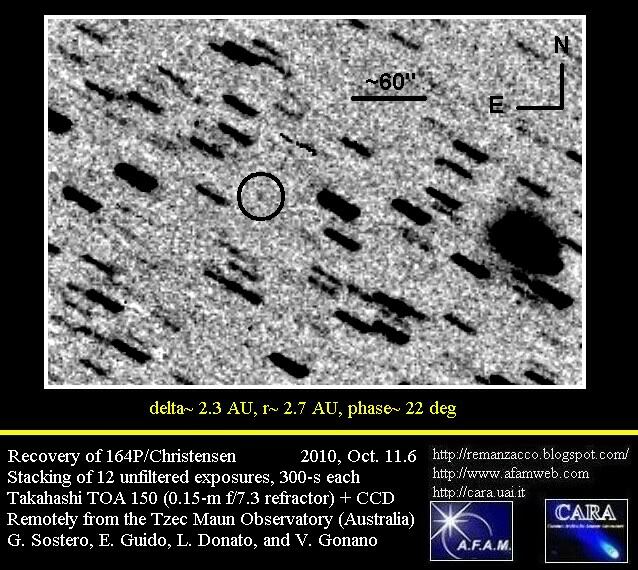 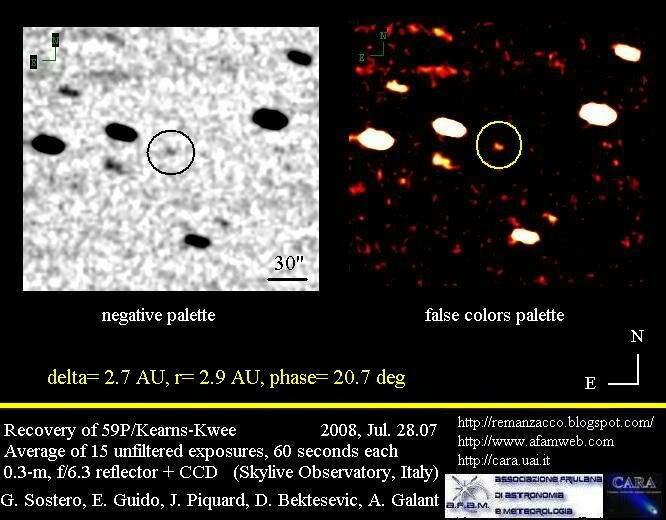 Follow-up observations to confirm the object were obtained by C. Jacques, E. Pimentel, and J. Barros with the same telescope on Aug. 27.3 and31.3. 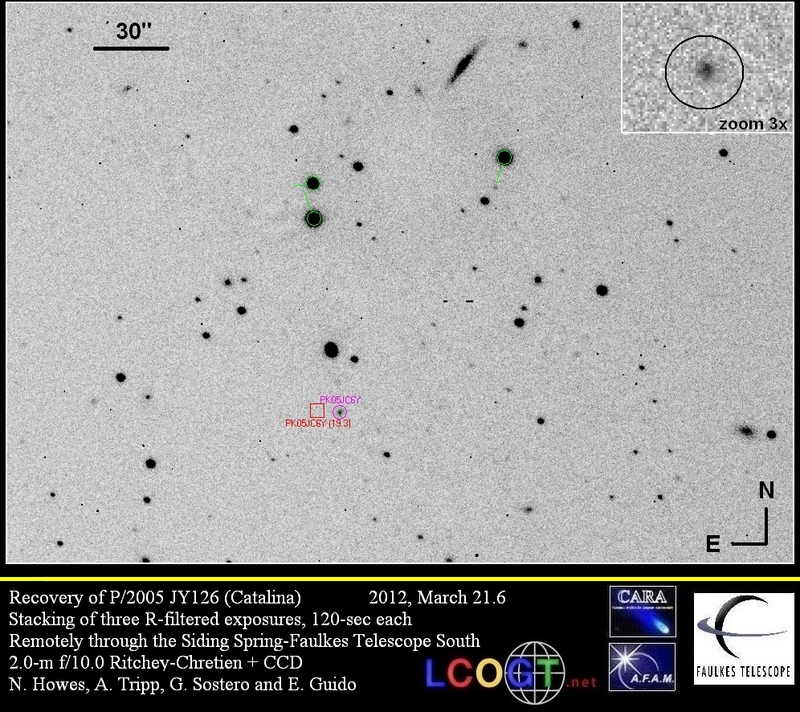 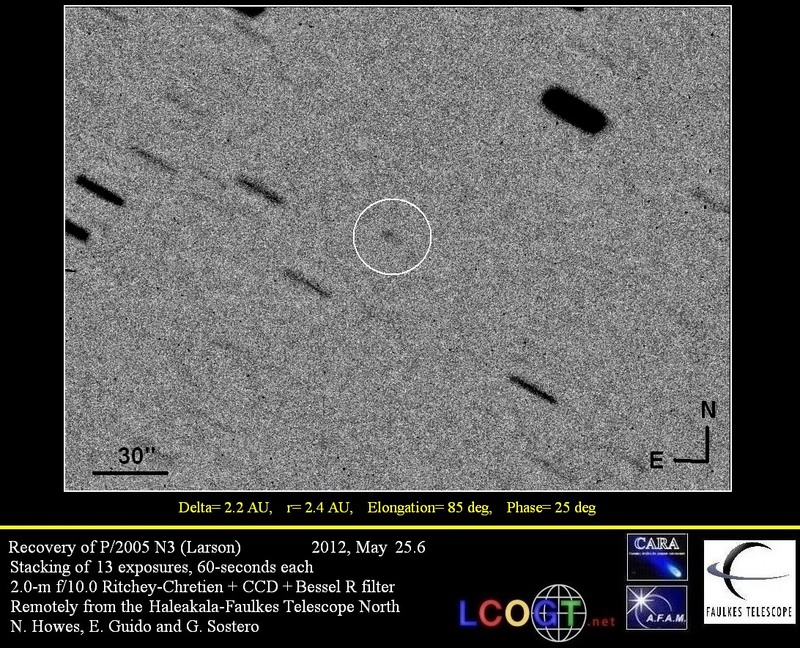 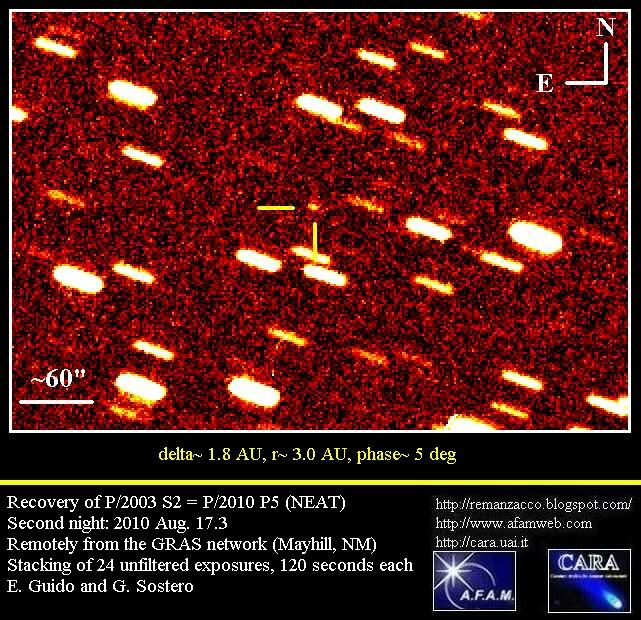 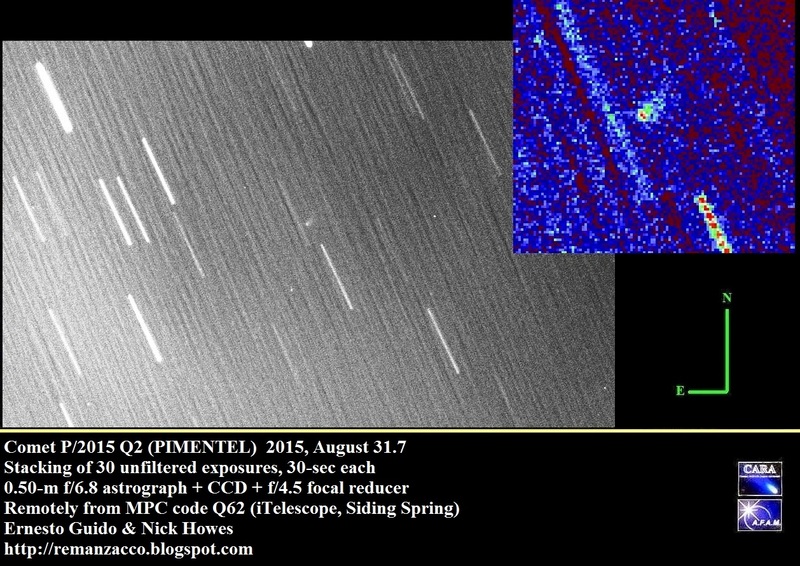 The new comet has been designated P/2015 Q2 (PIMENTEL).